Durham isn’t just one of the UK's heritage cities with a maze of medieval streets or the site of the magnificent UNESCO World Heritage Site of Durham Cathedral & Castle, or the location of a world-renowned University. It also offers a really pleasant walk along its river banks. Perfect for a family walk, family day and getting the kids some fresh air. It is like being in the countryside without leaving the heart of the city. One of my favourite things to do in Durham is to head to the river and walk along the one mile along the shaded riverside footpath from just beneath the 12th-century Framwellgate Bridge to Elvet Bridge, a distance of just over a mile. 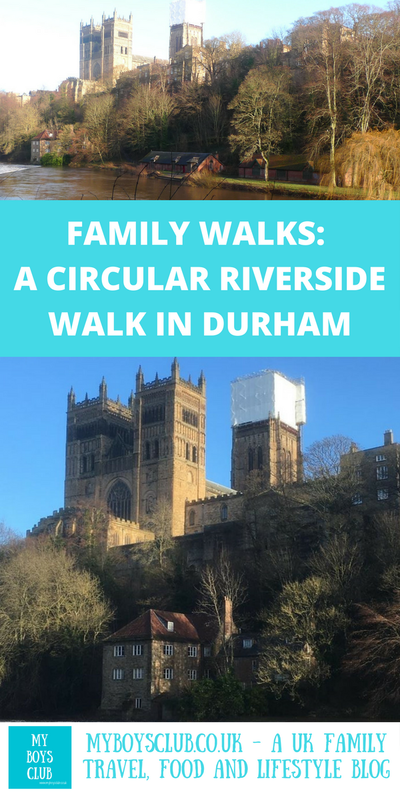 On a recent trip to Durham with the boys, on a bright and sunny winter’s day, we decided it was the perfect time to take the boys along the river during the day, as they’d only been on these routes for Lumiere in the past. 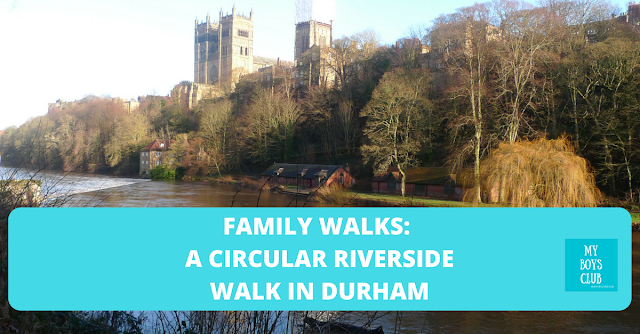 We were staying at the Radisson Blu Hotel so we actually started our walk outside the four-star hotel on Durham riverbanks next to the pedestrian Penny Ferry bridge, which we wouldn’t cross until the end of our circular walk. As we walked along Framwellgate Waterside, across the river on the opposite side is the Walkergate Leisure Complex, and currently being built on our side of the river was a new development called The Riverwalk, which will be a spectacular new riverfront leisure destination where everyone can relax, refresh and rewind with restaurants, shops and a cinema, due to open later this year. We continued to walk under Milburngate Bridge, built in 1969 this bridge now which carries one of the main roads through the city, which used to cross the next bridge that we walked under Framwellgate Bridge. Framwellgate Bridge is a mediaeval masonry arch bridge across the River Wear. It links Silver Street, one of the busiest shopping streets in the town to North Road in Durham, in a way linking two very different parts of the city. Silver Street was once home to one of the wealthiest citizens, and former mayor of Durham, John Duck. Framwellgate Bridge was built after 1400 to replace one built early in the 12th century for Ranulf Flambard, who was Bishop of Durham 1099–1128. Once under this bridge, you are into the peaceful and tranquil river walk. Look to your left to see Durham Castle, the 900-year-old castle, built by William the Conqueror that is now part of Durham University. Rebuilt in the 1800s, it is and home to students of University College. As the path follows the river and snakes its way around the peninsula keep looking up and you’ll see glimpses of the cathedral peeping through the trees and numerous weirs in the river. Durham Cathedral is an awe-inspiring Norman building that sits on a promontory high above the river with the city huddled at its feet. One of Europe’s greatest medieval treasures, from the top of its tower, you get an amazing view of the city and the river, and from the river banks at this point, across the river is the classic view of the cathedral, with the former fulling mill (now the Museum of Archaeology) at its feet. There are benches to sit on too, to take in the view. On our side of the river, we then passed the Corn Mill. Last time we’d been here it was dark and stopped to see the light installations at Durham Cathedral as part of Lumiere Festival. Then we reached Prebends' Bridge, which was opened in 1778. There is also the ‘Revealed’ Sculpture – by Richard Cole. A conical column of irregularly textured stone, it stands opposite the Cathedral beneath a canopy of trees, giving the impression that it has been standing here for hundreds of years, however, it was actually only installed in 1997 – but constructed using stone from the Cathedral’s pinnacles, which gives the structure an historic presence. Once you have crossed the bridge you can head back to the cathedral via the Bailey. The North and South Baileys are among the most historic and most attractive streets of Durham City. And to the left of the bridge on the riverbanks, you’ll find the Storyteller’s Chair with carved wood benches created by an artist working with local schoolchildren. However we continued along the river banks and to a small Greek temple, known as the Count's House, named after an early 19th-century Durham resident, a tiny Polish Count called Joseph Borruwlawski, who was 39in (1m) tall. However, it appears that this Grecian style folly, circa 1810, was not actually his house, although he did live in a cottage that previously stood nearby. Instead, it was more likely that the mock Greek temple was constructed as a summerhouse. Sadly a multiple tree sculpture of the scene of The Last Supper, by Colin Willbourn, that was on the banks of the River Wear, below Durham Cathedral, just before the Count’s House, is no longer there. Unfortunately, this was demolished by the sculptor on 1st February 2001 as it had become rotten. Carved into 13 diseased Elm trees forming a semi-circle it was viewed by sitting in a seat cut in a large tree at the head of the group. Here is a picture I took many years ago showing what it was like. 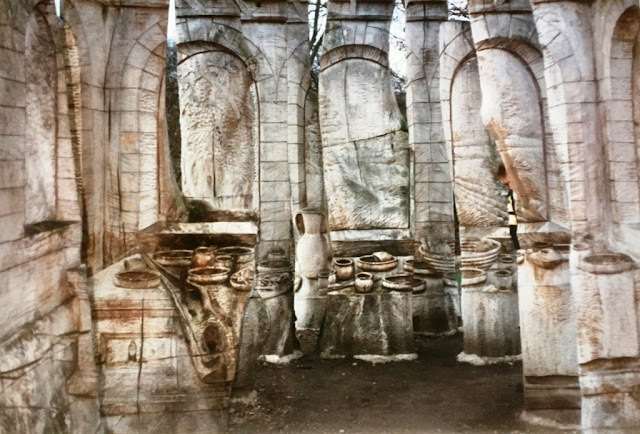 The Last Supper, by Colin Willbourn, as it looked before it was demolished in 2001. We continued to head eastwards and on to the concrete Kingsgate Bridge, put up in 1963 to designs by engineer Ove Arup. This award-winning reinforced concrete footbridge is a seamless integration of engineering and architecture, connecting Bow Lane on the historic peninsula in the centre of Durham to Dunelm House on New Elvet. It was also the location for a spectacular light installation of an 'illuminated waterfall' called Splash, at Lumiere Durham in 2011. We didn’t see anyone out rowing on the river but at other times of the year, it’s a very common site. You will, however, pass numerous boat houses and clubs located on the River Wear. Durham also has its own Regatta. Often referred to as the ‘Henley of the North’ has been held on the River Wear in Durham since 1834. It is the second oldest regatta in Britain and actually pre-dates Henley Regatta. At Elvet Bridge, we ended our walk along the river banks and headed back to the heart of the city. Elvet Bridge is a mediaeval masonry arch bridge across the river linking the peninsula in central Durham to the Elvet area of the city, and work began to build it in 1160. The bridge has ten visible arches and the river wear flows through four of them. After climbing up the stone steps, and walking up Old Elvet we bore right on to Saddler Street and into the Market Square. If we had turned left we’d have walked up to the Cathedral. Saddler Street is famous for being the place where mustard was invented, by Mrs Clements in 1720. Mustard, however, is no longer produced in Durham today and the production of the original Durham mustard has passed into the hands of Colmans of Norwich. In the Market Place, you’ll find many statues and the Victorian Durham Town Hall, which displaying some items of clothing and a violin which belonged to the Polish-born Count called Joseph Boruwlaski. The Lord Londonderry Statue by Raphael Monti was unveiled in 1861 to commemorate the 3rd Marquess of Londonderry, Charles William Vane Stewart 1778-1854. Through his daughter Lady Frances, Lord Londonderry was the great-grandfather of Winston Churchill. He was born in 1778. Londonderry was a soldier and he fought in many famous battles, so the statue shows him on a horse and wearing a military uniform. He also owned many of the coal mines in County Durham and spent lots of money to make them run better. He commissioned the building of Seaham Harbour so that the coal could be taken away and sold more cheaply and easily. It’s a controversial statue, with some opinion was divided between those who respected his military career and others who remembered the colliery owner who sent letters threatening to evict any merchant in Seaham who supplied goods to striking miners. The lead statue of Neptune was originally placed in the Market Square in 1729 on an octagonal pant which provided water for the people in the Market Place. After being relocated to Wharton Park in 1923, Neptune was then returned to the Market Place. The bronze DLI Statue by Alan Herriot symbolises the poignant moment after the infantry buglers sounded the ceasefire in Korea in 1953, which was the regiment’s last battle honour before amalgamating with other light infantry regiments to form ‘The Light Infantry’ in 1968. The Heritage Timeline, by Ailsa Magnus, stretches for 42 metres from St Nicholas’ Church to the statue of Lord Londonderry. It features a stylised river and tree flowing through the 1,000 years of time and history, capturing major historic events and industrial developments contributing to both the modern city and heritage of Durham. Once you have passed through the marketplace cross over the main road via Claypath and head into Millennium Square where you’ll find the library, gala theatre and The Journey. The Journey by Fenwick Lawson is a bronze sculpture of six monks with an open coffin which pays tribute to the story of St Cuthbert's coffin. During the Viking invasions in the 8th century, the Lindisfarne monks fled Holy Island. They transported St Cuthbert’s coffin and the Lindisfarne Gospels to different locations in the northeast before ending at Durham in 995AD. Legend has it that during this time the saint’s body remained undecayed! This bronze sculpture represents the monks carrying the saint’s remains on the final stage of their journey. The original wood sculpture can be found on Holy Island. Continue through the Walkergate Leisure Complex and back to your starting point at the Radisson Blu Hotel via the Penny Ferry Bridge. In total, we walked just over 2 miles and it took a couple of hours. 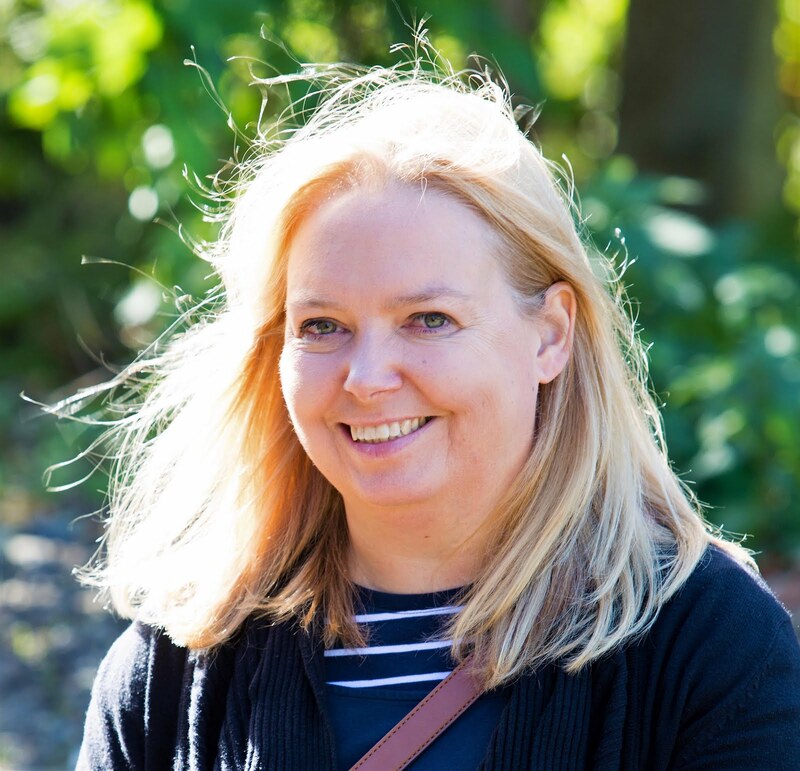 The heritage woodland and river banks in Durham are managed and maintained by Durham Cathedral and you can find a number of seasonal and family activities to download from the Durham Cathedral website. Where is your favourite place for a family walk? That sounds really lovely! I love to just walk and observe with my boys but we don't have anything nearly as lovely as an old castle to see. Durham is such a beautiful city. Full of history. I have never been there before. Such a shame about the demolished of the Last Supper. I do find The Journey a bit creepy though. A bit weird being reminded that way, but interesting never the less. Thank you so much for showing us around Durham. I like the river walk in the city. I find it very peaceful.